The New York Times reports that Facebook has maintained data-sharing agreements with “at least 60 device makers” for the last 10 years. Each partner was given access to a private API that allowed at least some partners to access more than 50 types of information about an individual user. It also extended that information to a users’ friends—and friends of friends—with the kind of wide net that famously resulted in a massive leak of millions of users’ data to Cambridge Analytica, a firm working for the 2016 presidential campaign to elect Donald Trump. 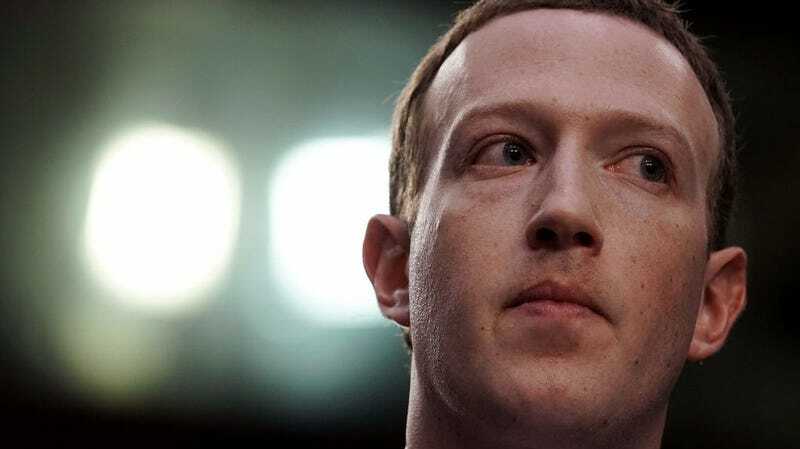 Throughout its all-hands-on-deck PR campaign over the last few months, Facebook has shuffled its data policies and reassured lawmakers that handing out user data to anyone who asked is no longer part of its standard operations. It maintained that its policies for sharing data with third-party app developers have changed following a consent decree with the FTC in 2011 over a previous privacy scandal. Since it was revealed that millions of users’ data was gathered by a quiz app and subsequently sold to Cambridge Analytica, it’s been a lingering question if Facebook may have violated its consent decree by not notifying users of the breach. If the FTC determined that the social media network was in violation of the agreement, it could face “trillions of dollars” in fines. But Facebook is claiming that it’s fully in compliance with the consent decree due to its interpretation of one clause in the agreement. The Times found that Facebook has given device makers like Apple, Amazon, BlackBerry, Microsoft, and Samsung extensive access to user data through partnerships that appear uncannily similar to its past third-party policies. These partnerships are reportedly ongoing. Facebook confirmed much of the Times report but took issue with some interpretations and asserted that it has been “winding down” the data-sharing program since *ahem* April. The reporter used in the test only had 550 friends, but when Facebook’s system was done combing through all of the information that its system allowed to be shared, “identifying information for nearly 295,000 Facebook users” was transmitted to the Blackberry Hub, the Times reported. A great way to think about that is, just like when you see your timeline. If you and I are friends, and I post on my timeline, and one of my friends comments on it, you’re still going to be able to see that friend’s comment, and that’s just the nature of sharing on Facebook. When contacted by Gizmodo, a Facebook spokesperson emphasized that the private API approach has been common in the tech industry, especially in the early days of the mobile era—they cited YouTube as an example of an app that was initially included on iPhones but was originally developed by Apple. They acknowledged that the “winding down” was prompted by the “hard look” Facebook has taken with its data policies and said that technology has changed to the point that this sort of data sharing isn’t necessary. The spokesperson said that it’s ended its partnerships with 22 parties but gave no timeline on the rest. When asked for a list of all the partners, the spokesperson said they haven’t decided to share that information at this time. The Times attempted to contact several major device makers about the partnerships. Apple confirmed it was part of the program, but it hasn’t had access to Facebook user data since September, the company said. A Blackberry spokesperson did not say that the company no longer participates in the program but emphasized it “did not collect or mine the Facebook data of our customers.” Microsoft claimed all data is stored locally on the user’s device. Amazon and Samsung declined to comment. With all of those big manufacturers accounted for, there’s still the question of who else is part of this program. Facebook has only said, “around 60 companies” have used the private API and that some of its partners did store user data on their own servers. I certainly can’t think of 60 device manufacturers I’d trust with my data. And considering the fact that Cambridge Analytica and Aleksandr Kogan—the professor who developed the quiz app that sucked up tens of millions of people’s data—allegedly violated Facebook’s terms of service and received no penalty, it’s not exactly reassuring to hear that these agreements had “strict” guidelines. We’ve asked Facebook whether it audits the device makers it partners with for compliance with its guidelines, and a spokesperson said that hasn’t happened because they’ve never had any “issues” with the program. Facebook does claim it’s performed “spot checks” with dummy accounts to ensure that the proper data was being pulled. But the question of whether all user data was treated properly after it was transferred to a partner’s server remains unanswered. As for its 2011 agreement with the FTC, Facebook has maintained that the Cambridge Analytica situation did not constitute a violation of the section that required users be notified and must give their permission before any data about them is shared. Its reasoning is that users gave their permission implicitly through their privacy settings. This time, it claims the partnerships with device makers doesn’t violate the consent decree because it allows Facebook to share data with “service providers” without obtaining further permissions. While “service providers” is intended to refer to services like cloud storage and credit card providers, Facebook is taking a broader interpretation. We also asked if Facebook intends to provide lawmakers with detailed accounts of how these partnerships worked. In its meetings with Congress, European Parliament, and the German government, Facebook executives have largely omitted acknowledgment of this program. Documents submitted to German lawmakers only mentioned Blackberry as a partner in its private API and offered little detail on how the program worked. When asked if Facebook would volunteer the complete details of the program with lawmakers, a spokesperson declined to give a firm answer but said it would work with lawmakers on any questions they might have.